Service and focus on customers have always distinguished BDF Digital. After-sales Assistance, Engineering and Customization, Training: a complete package of supports, services and a staff of expert technicians committed for years in specific areas of expertise, available to customers for the commissioning activities of products, systems, for designing new solutions and organizing training. 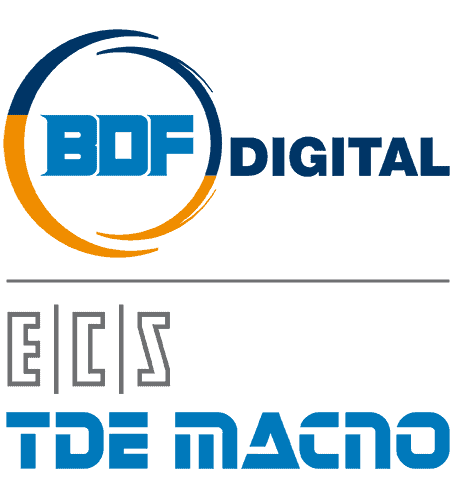 BDF Digital offers,indeed, different training and refresher courses according to the needs: from the simple instruction to the parameterization phases of a particular product, up to the transfer of software libraries with consequent whole indepencence of the user in customization and maintenance. Therefore we always bring up our resources: our staff of trained application engineers and experienced technicians and salesmen for a total support to the customer, starting from the analysis of the needs to the complete fulfilment of expectations. Flexibility is a strength point for BDF Digital. Our Engineering Know-How mixed to a strong attention to customers needs allowed us to develop customized solutions to satisfy specific features in different application fields. Numerous options allow the customer to personalize the standard range in its various elements (hardware, software and firmware) in order to ensure the best possible solution to our Clients. Until now we have developed customized solutions in the field of Textile, Paper, Metal Working and Marble. Mentoring and Customers support are key words for BDF Digital. In order to support the user after the design and the installation, We give our clients the possibility to acquire necessary notions to make the best use of our products. BDF Digital, indeed, offers refresher and training courses diversified according to needs of customers: from the simple instruction to the setting-up phases of a product, or with a transfer of software libraries with a consequent total independence of the user in the customization or in the maintenance.